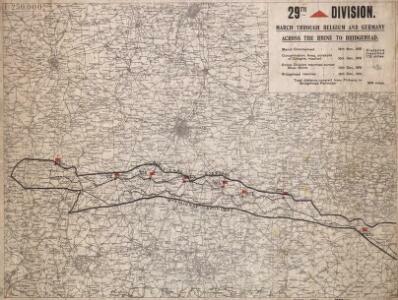 Description: 29th Division. March through Belgium and Germany across the Rhine to Bridghead. Sheet 1. Shows route of 29th Division who marched from Renaix in Belgium to Cologne in Germany to secure Rhine bridgehead immediately following the end of the First World War.